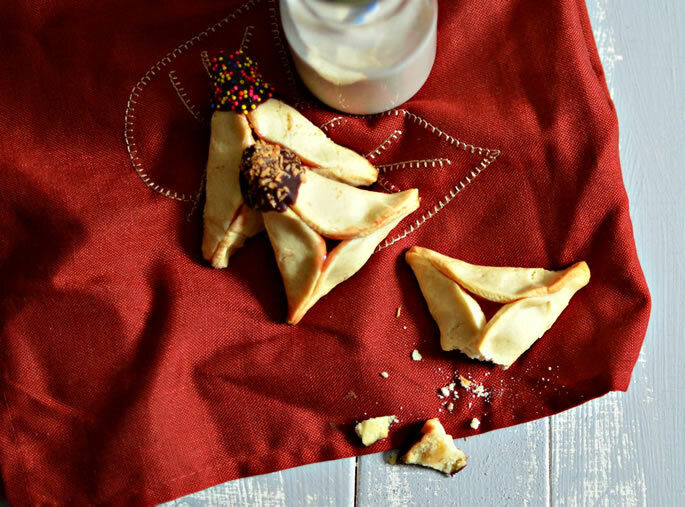 Wondering why hamantaschen are traditional Purim fare? The reasons and symbolism are abundant. 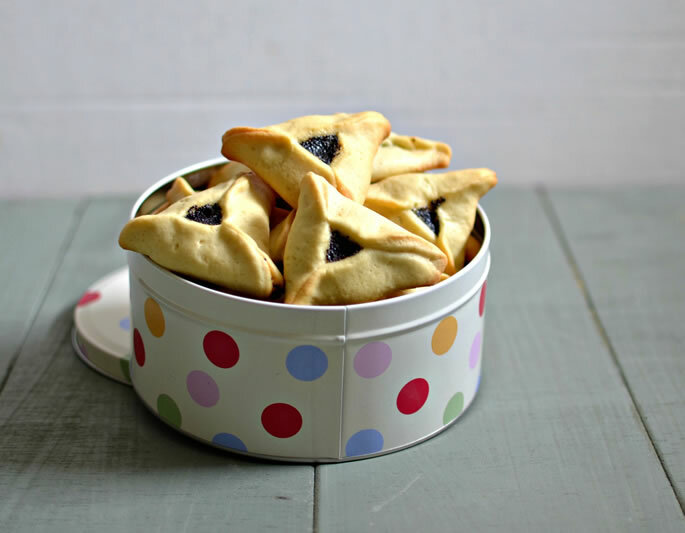 Check out The History and Meaning of Hamantaschen. 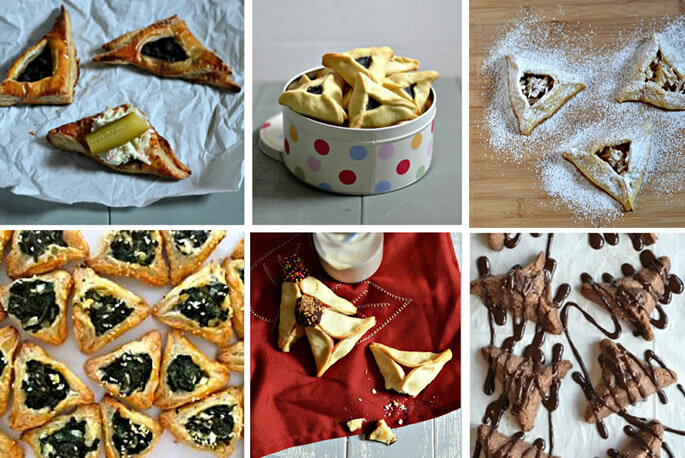 Today I’ve got a great roundup of sweet and savory, traditional and nontraditional hamantaschen. Choose some to make, or come up with your own combinations. 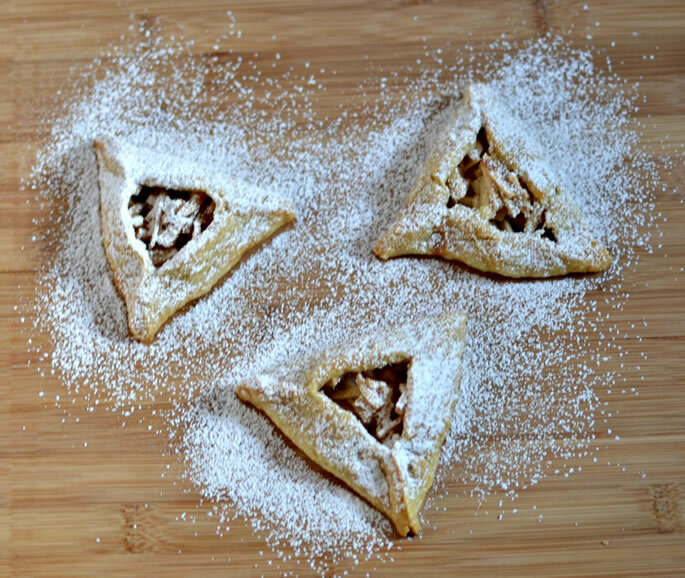 Note: If you’re sharing your hamantaschen with others, be sure to let them know whether they’re meat, dairy or pareve. While it’s fun to experiment, there’s nothing like tradition. 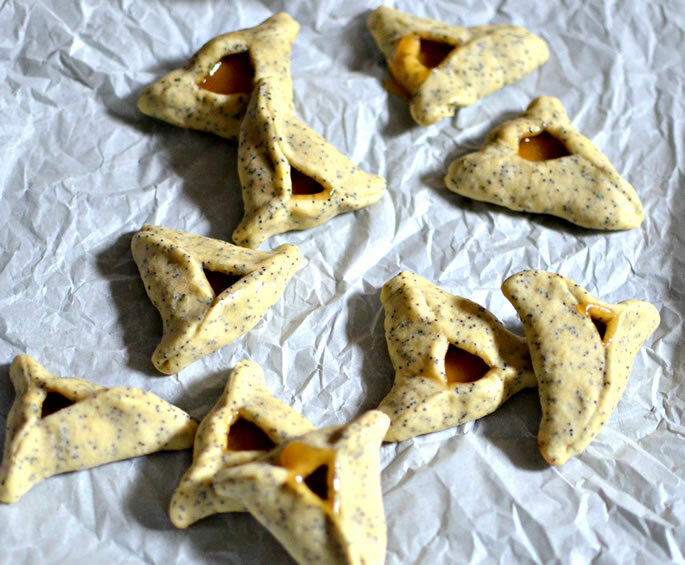 And does it get more traditional than poppyseed hamantaschen?! Love caramel? Then this is the hamantasch for you. Chocolate dough, chocolate filling and chocolate drizzle. Need I say more? And to top it all off, they are grain-free, gluten-free and dairy-free! 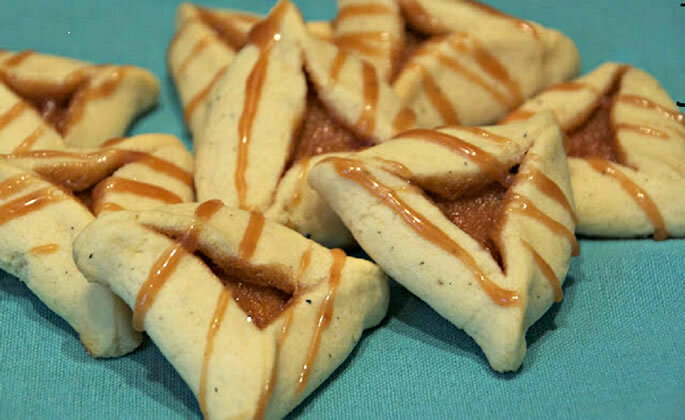 These are not just regular hamantaschen with apple filling. This is pie-crust dough with real apple-pie filling. Full disclosure—this is definitely more work than making regular hamantaschen, and is for the more experienced baker. The dough is fragile, and you need to be very careful and precise. Or you can turn them inside out, and make this version, where the poppy seeds are folded through the dough, and the filling is a tart lemon curd. Sweet is fun, but so is savory . . . give it a try! 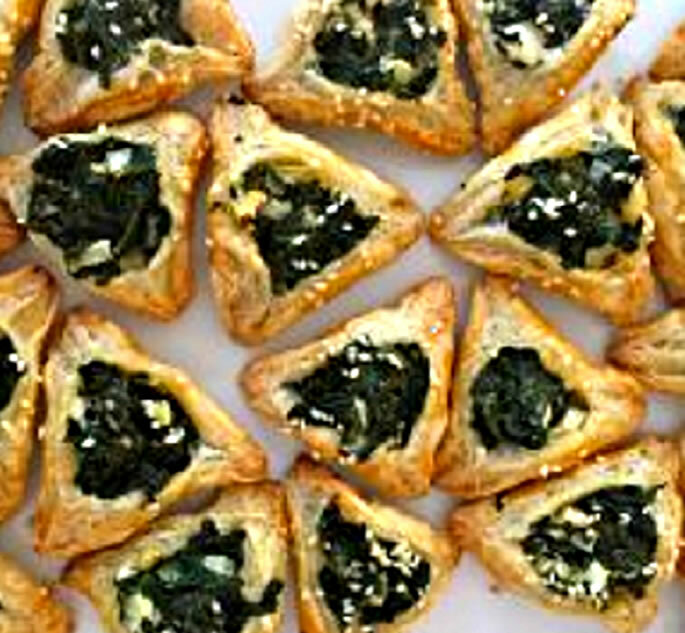 Want to share your hamantasch recipe with us? Please do! Contact us here. Thanks You have changed the formatting of your complex website. I'm not clear how to send a message, in this case, a thank you. Chumentashen recepies , as I got tiered with the basic. My favorite is chumentashin for desert and chumentashin for dinner. Add one 1 packet of yeast to the basic dough ingredients. Mix Arabic cheese with cilantro and finely chopped red onion. I think it is called Gevalia onion, I would be grateful to learn why. Maybe I'm old-school... but I'm surprised you don't include a yeast dough variety! There's nothing like a raised dough hamantasch to accompany your morning coffee. It's time to bring back this vanishing delicacy! Combine the yeast, ¼ c. of the milk, and 3 Tbsp. of the sugar in a cup. Allow to soften for 5 minutes. Combine the remaining milk and sugar, shortening, salt, eggs, and the yeast mixture in a bowl. Add the flour gradually, mixing together lightly until a dough is formed. Try to add the least amount of flour you can, without it being sticky (somewhere between 4½ -5 c.)--you don’t want the dough to be too dry. Knead until very smooth. Place in a greased bowl, cover with a cloth, and set aside in a warm place for 2 hours, or until double in bulk. The dough should be thin and soft when baked. That is the hard part. 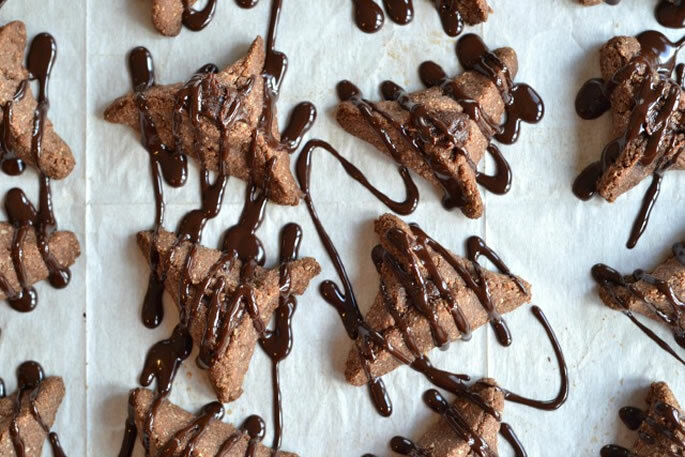 Gluten Free Triple Chocolate.... I'm worse then a Daughter of Eve when it comes to Chocolate. For some strange reason, these don't seem capable of surviving my kitchen door. Or makeing it to their basket's! So it wouldn't ruin the tradition. lamindated dough I wouldn't make the cookie ones with laminated dough. 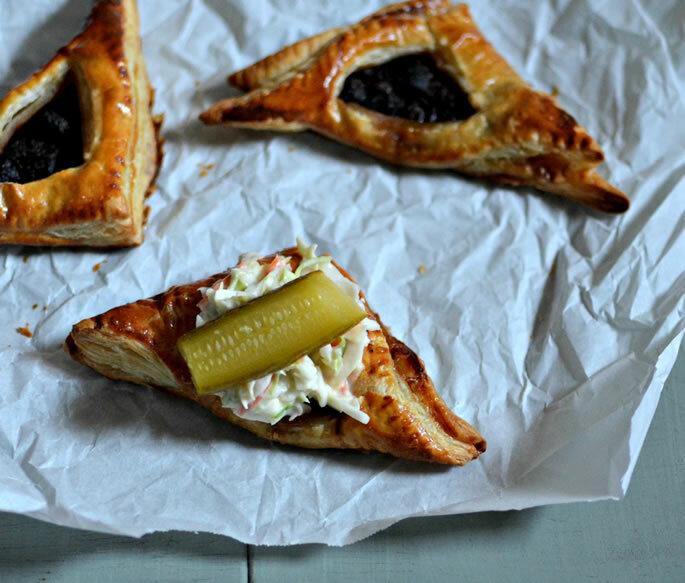 The meat ones you could definitely do with a dairy-free puff pastry. The apple pie ones you could also do with a laminated dough and it would be like an open apple turnover. you could also make a pizza-style hamantasch with laminated dough and sauce and cheese in the middle.